Pregnant Blake Lively discussed her favourite family traditions on Christmas for a video interview with The Kit. The expecting 27-year-old revealed that her parents and her four older siblings – Eric, Lori, Robyn, and Jason – spend the day in bed together. ‘I don’t know how my family tends to…everybody gets in the same bed,’ the Savages starlet said of her showbiz LA family. 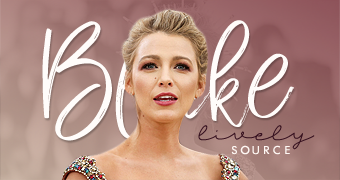 The CW interviewed Gossip Girl star, Blake Lively who plays Serena van der Woodsen on the show. She talked about how season 3 is going to be even more exciting,with better story lines. She gave away some Serena season 3 spoilers. She says that Serena goes off to look for her father with Carter. The third season of Gossip Girl is only 8 days away and you can view some episode stills and promos in the gallery and view some clips from the first episode here!